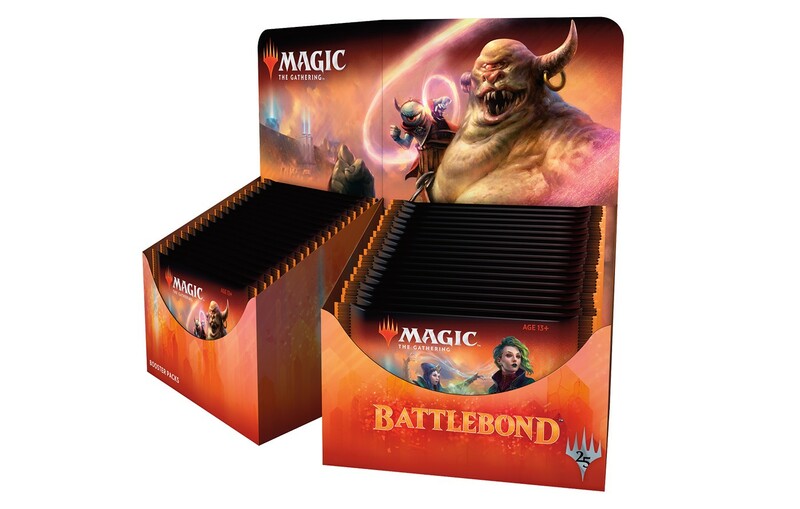 Battlebond is a standalone booster release designed for Two-Headed Giant limited play in both Sealed and Booster Draft. The set introduces a new setting and new mechanics that excel in multiplayer, plus new cards legal in eternal formats. Each booster pack contains 15 cards. Booster display box contains 36 packs.